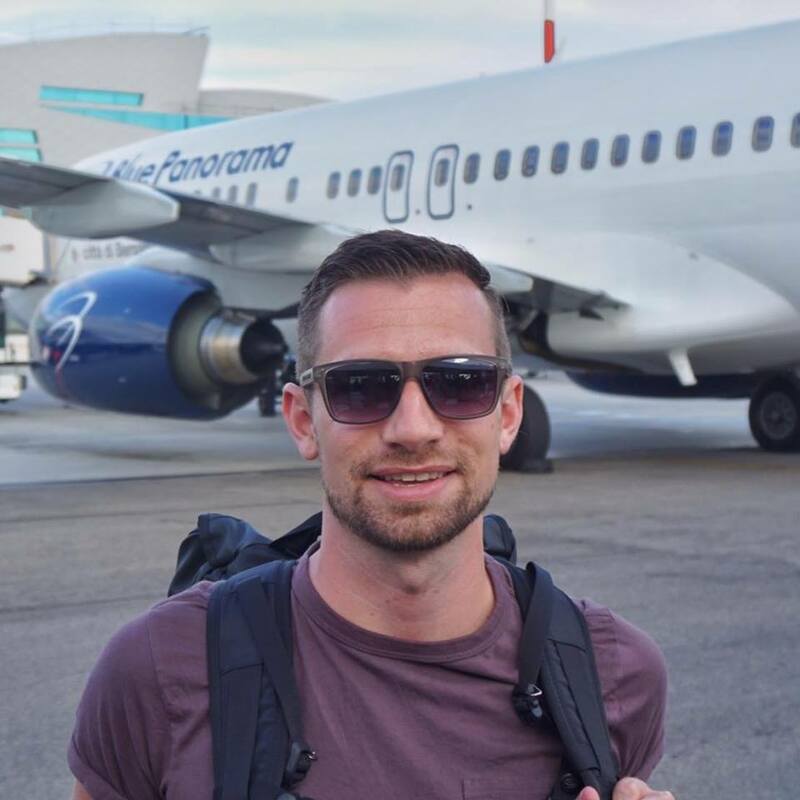 Are you planning any flight bookings soon with Air Berlin? Now might be a good time to book with a chance to earn bonus topbonus miles based on dollars spent. 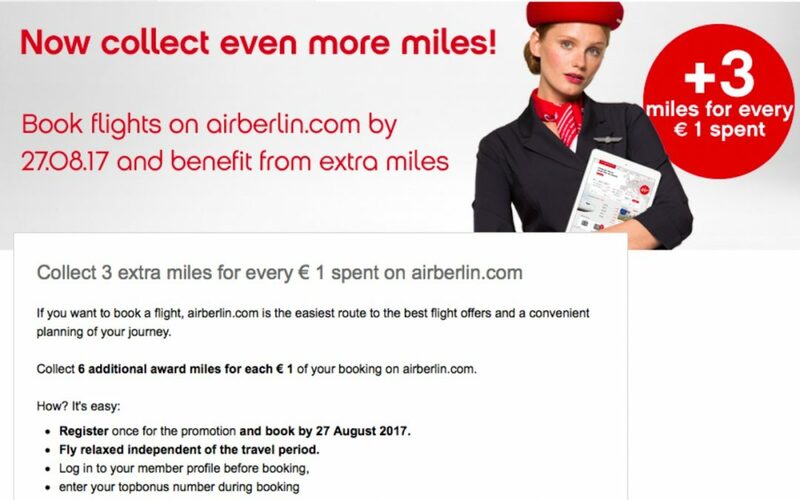 Through August 27, 2017, you can collect 3 extra miles for every € 1 spent on airberlin.com. While mileage earnings on flights with topbonus are based on distance, this appears to be an additional bonus based on dollars spent. Book your flights on airberlin.com and collect an incredibly high number of award miles! And the best part: this promotion is not tied to a travel period, so you can quite simply and conveniently book your flight on airberlin.com! Please note: In order to ensure successful mileage accrual, it is necessary that you book your flights via this link. 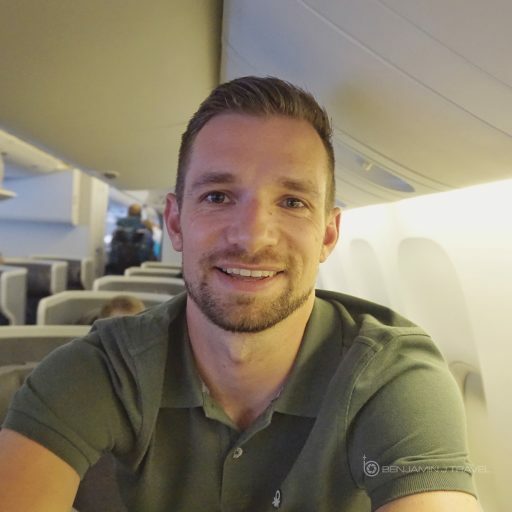 I’m eager to fly Air Berlin’s long haul Business Class as I’ve only flown Air Berlin on short intra-European flights myself so this something I may look into. Is this a promotion you might take advantage of? Let me know in the comments below!